Plan_Cabana – ThermoBuilt Systems Inc. The Cabana - 447 Sq.Ft. 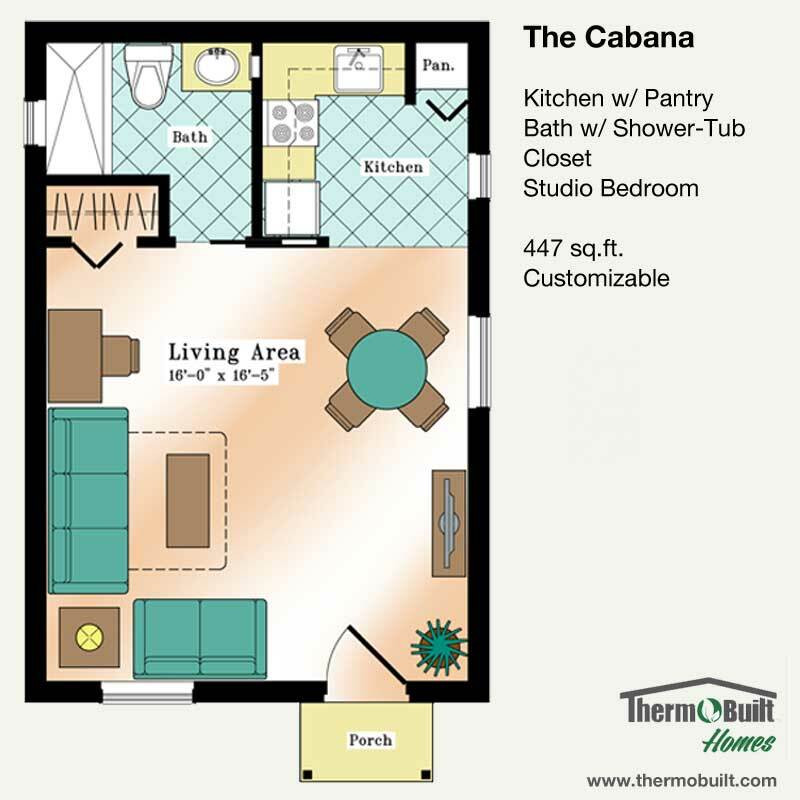 The Cabana is our small/tiny home perfectly suited for tiny living or a backyard home office. Offering 447 usable square feet, this plan is both functional and customizable, and gives you lofty ceilings for great space ideas. A studio style room serves as living and sleeping space. A private full bath sets this plan apart from other tiny homes. A functional kitchen offers space for a full sink, refrigerator, and stove/oven. You even have pantry storage. This plan offers you enough space to live, entertain, and lounge.